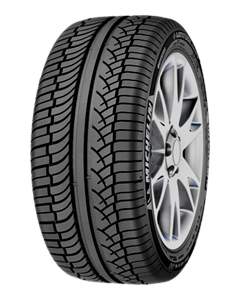 The Michelin Latitude Diamaris tyre already proved its high everyday life fitness for BMW X5, Mercedes Benz M-class, Porsche Cayenne, VOLKSWAGEN Touareg and Volvo XC90. Its profile convinces particularly by high comfort, outstanding handling, short braking distances and sturdy straight line discharge also at high speeds. Also on wet underground the Michelin tyre offers reassuring security reserves.